The Canadian Institute in Greece (CIG) was incorporated in Canada (as the Canadian Archaeological Institute at Athens; CAIA) by federal charter in 1974, with charitable status as an educational institution, and was officially recognized by the Hellenic Ministry of Culture on 16 February 1976 as a foreign archaeological institute. 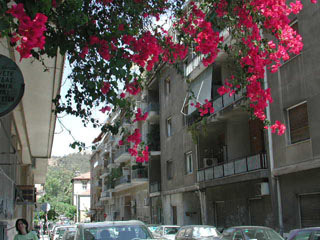 In 1980, the Institute was able to establish working offices in Greece through an offer of space made by the Canadian Embassy, and in 1981, to address issues of adequate funding, the Canadian Mediterranean Institute (CMI) was founded as an umbrella organization in Canada responsible for three overseas research institutes: CAIA, the Canadian Academic Centre in Italy and the Society for the Study of Egyptian Antiquities. CAIA was able to move into larger, rented premises next door to the Canadian Embassy, at Gennadiou 2, when an annual grant from Canada Council, later the Social Sciences and Humanities Research Council of Canada, was secured by CMI in 1982. However, this annual grant was to last only twelve years, and with the withdrawal of funding in 1994 and subsequent closure of the Canadian research facilities in Rome and Cairo, CAIA became the sole research centre for Canadian scholars in the Mediterranean region. 1994 also saw the incorporation in Canada of the Canadian Academic Institute in Athens to act as the parent corporation for the now independent CAIA. A successful fundraising campaign resulted in the purchase of new premises in Athens - an apartment in the block at Dionysiou Aiginitou 7 - to house the Institute’s office, lecture space and library, and to provide living accommodations for two visiting scholars. In 2005, the Institute's Board of Directors decided to change the name of the organization to the Canadian Institute in Greece in order to reflect more accurately the full range of the Institute's interests. The following year, CIG completed the purchase of a second apartment in the block at Dionysiou Aiginitou 7, to provide much-needed additional library and office space, and to expand the living accommodations for students, scholars and other members of the Institute.